During nesting season, you must always be ready for the unexpected. 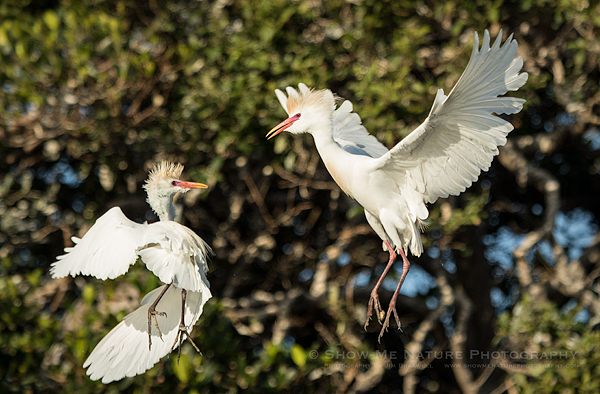 The cattle egret on the right was sitting in the trees of the rookery, when a second cattle egret (on the left) flew in to claim a nest spot. Apparently, the first egret thought his “neighbor” was infringing on his real estate! 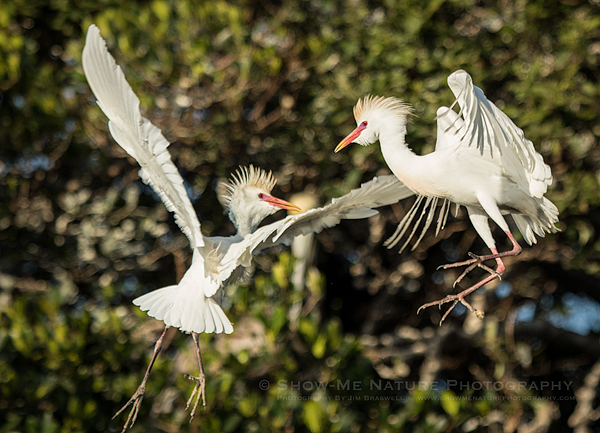 Note the buff colored head feathers … these two egrets were just coming into breeding plumage. 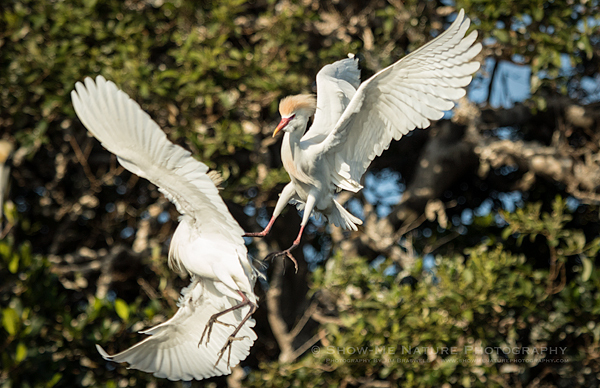 Tags: 2018, behavior, Bird Island, bird photography, birding, birds, birdwatching, Blog, Egrets, Florida, kayaking, nature, nature photography, nesting, photography, travel, winter.